The adjacent image shows the design that I’ve been asked to translate to a WordPress native menu. 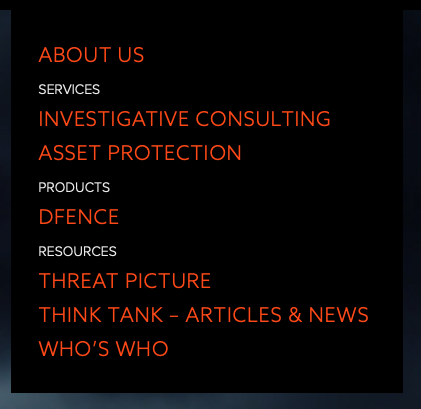 The orange items are page links. The white items are section headers and should not be active in any way. They are simply visual cues to aid navigation. ‘Out of the box’ WordPress doesn’t provide a place for menu section headers like ‘Services’ and ‘Products’ to be entered. It is possible to add them based on a menu item’s class or ID using the CSS ‘content’ property, or an absolutely positioned image, but this is tacky and hard-coded, so site owners and admins can’t easily change the menu section headers without a developer type person or some Additional CSS hackery. We need to find a way of adding section headers that uses the WordPress menu builder and remains editable. In many WordPress admin screens there is a Screen Options link/tab/button, usually at the top right. The options available depend on the item being edited. In the Menu Builder, there are several ‘Advanced menu properties’ available, and the one we want is ‘Description’. Description can be enabled under the ‘Screen Options’ tab in the edit screen. Once ‘Description’ is selected, a new field will be available when editing a menu item. 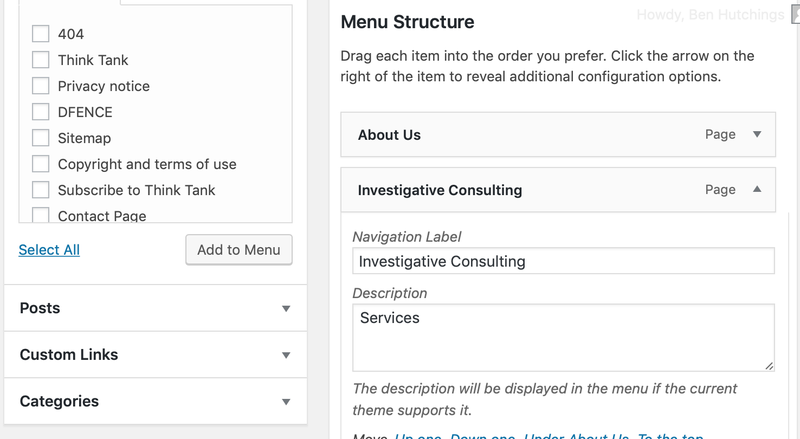 For our example design we want a section header called ‘Services’ to appear before the ‘Investigative Consulting’ menu item, so “Services” is entered into the description, and the menu us saved/published. The section head is now part of the menu object but without further theme modification, it won’t appear anywhere. Next we want to modify the WordPress theme to allow our description to show in the menu as a section header. To do this we’ll be editing the theme functions.php file. Many articles aimed at modifying WordPress menu output suggest using a custom ‘walker’ class . This would work, but it’s overkill for what we’re doing. The walker_nav_menu class applies a filter called walker_nav_menu_start_el and that’s what we’re going to use instead. The walker_nav_menu_start_el filter can edit each menu item’s “starting output” i.e. the menu link element (<a ... > </a> etc) and any ‘before’ and ‘after’ attributes which have been set when the menu is called. For a discussion of menu attributes, see the wp_nav_menu article. The if statement checks that the menu item is a top-level item with $depth == 0 and also that a description is set. Now that the filter is added, when the menu is viewed it should output the description that’s been set immediately before the menu item. In the example we started with it appears as white text (see the adjacent image). 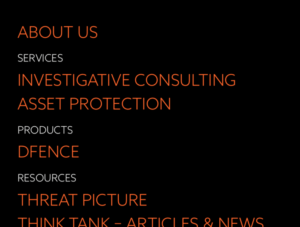 Finished menu showing styled section headers. Hope that’s helped someone. If you have questions, corrections or criticisms please leave a comment below. Or just let me know what you thought with a click/tap on a thumb: - +1 thumb, 1 overall.